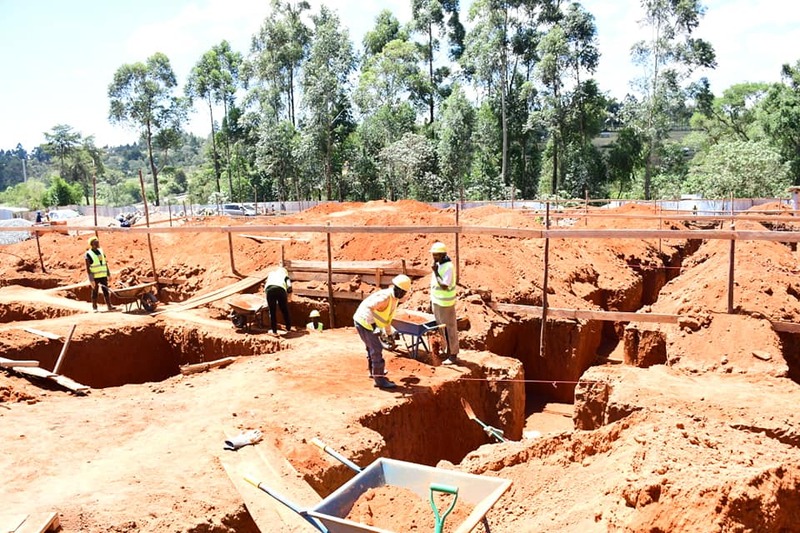 EXCAVATION WORKS FOR THE PROPOSED NANDI COOPERATIVE CREAMERIES (NCC) IS 98% COMPLETE. 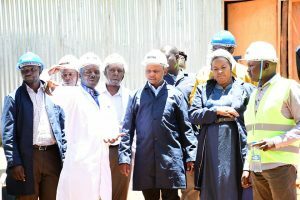 During his campaigns, Governor Stephen Sang promised residents of Nandi that he would build a milk processing plant and ensure that value addition is done before the milk is sold to consumers. In keeping his promises, the construction of the milk processing plant is underway in Kabiyet area, Mosop Sub County. Excavation of Nandi Dairy Creameries. The construction process is being done in strict adherence to the required standards considering that quality is the number one prerequisite for any food manufacturing plant, it is always very important to ensure that the plant structure and equipment facilitate the required quality as much as possible. 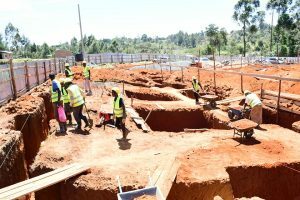 A technical committee which was established and tasked to oversee the construction of the Nandi Cooperative Creameries (NCC) has been closely monitoring the construction process and were on the construction site today inspecting and assessing the ongoing works of the plant. Members of the technical committee assessing the project. The committee commended the contractor for the tremendous progress so far, for adhering high standards of safely and recommended a few variations on the structure. The processing plant, whose first phase is expected to be completed later in the year, will consist of cold storage space with loading docks, processing section, utility & west handling facilities, administrative offices and dispatch platform. Upon completion, the plant will create job opportunities to hundreds of youth and women from the county who will be recruited to collect milk, operate the facility, market and distribute its products. 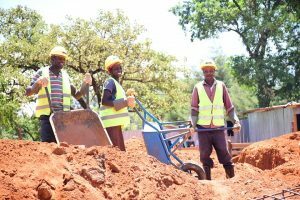 Already, the construction has created informal employment to over 70 locals and the number is expected to rise as contraction advances.